I have my first bridal fitting tonight and I’m pretty anxious. For the past year, anytime it came to doing things for the wedding, I’ve politely skirted around the issue. When my future mother-in-law would ask, “When are we going to look at bridal gowns together?” I’d kindly smile, say, “soon” and avoid the subject until it was inevitably brought back up to me thus perpetuating a cycle of dishonesty I held with everyone around me: I don’t want to indulge in bridal activities with you. One of the things I’ve learned is that brides can hold the same amount of anxiety as they can happiness. The furthest thing people around me should do is take it personally. The last thing in the world it is, is personal. It’s simply the fact that having to go through the motions of planning a wedding so soon after losing my mom to breast cancer, is heartbreaking for me. It’s overwhelmingly emotional. In fact, there aren’t even words dark enough to describe the emotions I feel on those dark, down, bitter days that sometimes take me through an emotional vortex for the better part of two weeks. I think back to my bridal shower that happened several weeks ago. 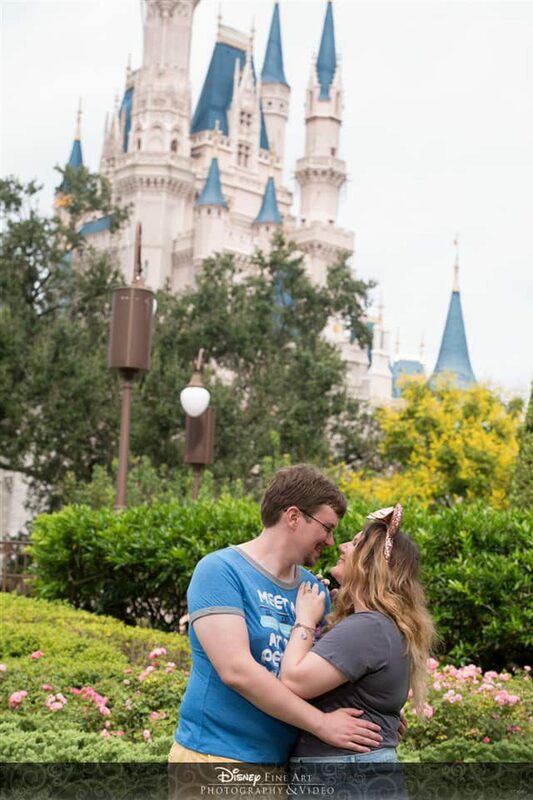 While my bridesmaids, friends, and family all did a wonderfully beautiful job at creating an event that complimented my interests, I went home and spoke to my fiance about how it was the hardest three hours of my life. No amount of frills, small talk or delicious pound cake picked up from Shoprite was able to eliminate the emptiness I felt with my mother not being around to share in these activities. My pain level was so incredibly high that before the event, John had to peel me off my living room floor. When we arrived to the parking lot, my body had gone so numb at just the thought of it, my legs had gone weak and I was hyperventilating on a bench near the venue with my maid of honor rubbing her hand against my back, absorbing the reality that I live – and the ones they’re only sometimes privy to. When I’m in these dark moments, my inclination isn’t to call up a friend. My only motive is getting out, is being able to breathe again; it’s a call to action to stop my frantic cries. It’s to placate myself to a point where instead of being riddled with pain and overwhelming sadness, it’s just to feel comfortably numb enough where I can remain expressionless. When a few days go by, or weeks, and I’m on a call with my friends, I’m not going to bring up what happened because the last thing I want to do is remind myself of the nauseating pain that swells inside my darkest moments. When people finally see it in action – such as my maid of honor watching me have a panic attack on the morning before my bridal shower – or when they hear me wail in agony and joy over a framed picture they gave me of my mom, only then does the pain become tangible. I can’t get angry when I do let my friends and those close to me in on my emotions, because to them, it seems as outrageous as I sound on the phone. They become quite frantic to devise a plan that will help me. Maybe I should cancel or postpone my wedding. Maybe I need medication to help me cope. Maybe I need to go talk to someone again. Maybe I should keep it to a small ceremony only. Their helpful tips sting like knives cutting me so deep into the parts of my heart that are already so vulnerably exposed and raw. On times when I hear the ironic statement, “This is your only time to enjoy and experience being a bride” I can’t help but to laugh and feel completely isolated, especially since my divorce papers are sitting in the nightstand beside my bed. It’s difficult for people not in my shoes to fully grasp and comprehend what level of pain I’m experiencing. Sometimes I feel as if people close to me are let down that they are not able to experience in this traditional, bridal experience with me and I hate to tell them that I feel it, too. Losing my mom a year before my wedding was not in the plan. It wasn’t even in the realm of possibility. Often, if I share Snapchat photos or personal tidbits of John and I picking out invitations or decorations, there is this automatic assumption that I am better and able to conquer all the other facets of the wedding. It’s an awful thing to be a bride when you don’t live up to that stereotypical “bridal woman” who is only capable of sharing information about her upcoming nuptials when you ask her what time of day it is. I’ve often been confused by this traditional concept that any and all questions must go through the bride only. John is as much a part of this wedding as I am. He has opinions, wants, traditions he wants upheld, and patterns he’s most drawn to. At the end of the day, people are able to go through him just as much as they go through me because what people don’t always see, or I guess understand, is that any decision gets made by the two of us regardless. That’s one aspect of this wedding that breaks me. While there’s no harm in sending me pictures of floral centerpieces, chances are it’s not just one person whose sending them to me; it’s multiple. Multiple conversations and pictures and questions about wedding, wedding, wedding and the irony, is that anytime the wedding is brought up it leaves me feeling desolate, isolated, heartbroken and devastated. People can understand that I terribly miss my mom. They can’t understand why that should hold me back from being a bride. Tonight, I have my first bridal fitting and I realized after they called me to confirm my appointment, that I never even bought shoes for the event. My mind is elsewhere: it’s on school, and cleaning my house, travel, and making extra money to finish paying off the honeymoon. Essentially though, my mind is primarily focused on things outside the wedding, like simply just being happy because too much bridal talk is hurtful; it serves as a painful reminder of what I lack. I have a lot of anxiety about tonight and what I hope people close to me begin to realize is that it’s not just anything wedding-related that bothers me, it’s only moments I’d ordinarily be sharing with my mother: like tonight. Had my mother lived, John wouldn’t be accompanying me to my first fitting, just like he wouldn’t have been the one who helped me pick out my gown to begin with. Had she lived, we would’ve made plans for dinner tonight before going to the appointment. During, she would have started to cry and tell me how beautiful I looked, despite me not being at my goal weight. Tonight, would have originally served as a good memory, even though it exists now as a vile and wholly empty one. When people say to me that “I should be enjoying myself as a bride” it’s a thought that’s a lot easier said than done. I can’t rush through my emotions. I can’t take a pill and make myself cope with the trauma I’ve endured and hurry myself along because, “I’ve got a wedding to get to and it’s got to be nothing less than perfect!” My feelings are real, they’re raw, they’re defining me. My mother’s death has inspired me to move forward in life and take hold of a lifestyle I’ve craved for years before she passed. I’ve traveled. I’ve landed a writing job in my field. I wake up each and every morning, and that alone sometimes is hard when all I’d rather do is lie in bed, eager to awake myself from this obvious nightmare. People are only privileged to the information that gets shared with them. I’ve finally come to terms with stating that I can’t wait for this wedding process to be over with. I can’t wait to be married, to be the wife and loving partner to a man whose gotten me through these rotten times, to the man who had to be the one to tell me that my mother died, to my light, my salvation. Excitement toward marriage doesn’t have to parlay into excitement toward a ceremony and reception chock-full of traditional moments that it’ll be painstakingly obvious my mother is missing from. After all, it’s only been a year. The first eight months after I lost her were mainly fueled with anger and shock. I’ve only begun to even process it.